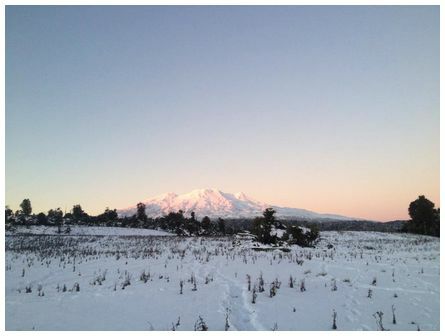 'Mt Ruapehu taken from Lahar Farm, Horopito on an iPhone 4 on 29 May 2013' wrote Scott. 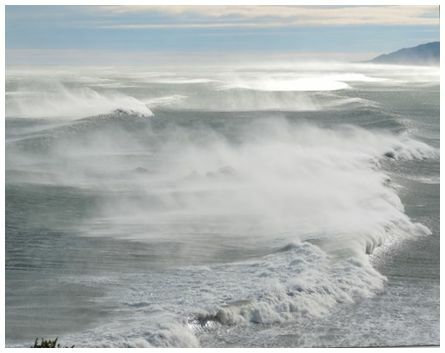 Paulette wrote 'taken with Nikon P520 above the 12 Mile Beach on the West Coast during very strong easterlies on 10 May 2013. 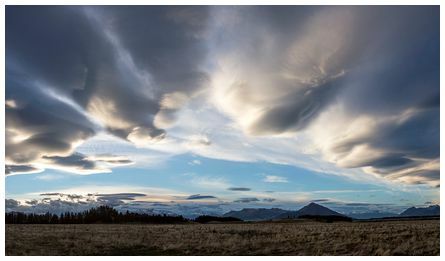 'Lenticular action at various levels above the Upper Clutha basin near Wanaka airport. 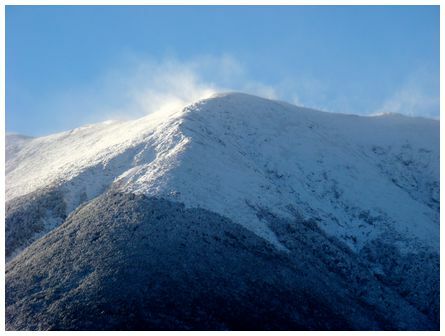 While it was virtually calm at ground level, the cloud formations indicate that there is substantial wind at various levels and strengths, signalling the arrival of a new weather system. Taken at 17:15 on 16 May 2013' wrote Gilbert. 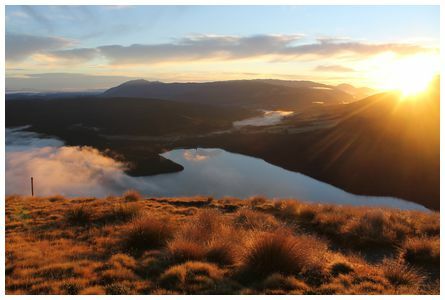 'Sunrise over Lake Rotoiti, Nelson Lakes N.P. from outside Bushline Hut on Mt Robert. Taken using a Canon EOS 1100D on 18 May 2013' wrote David. 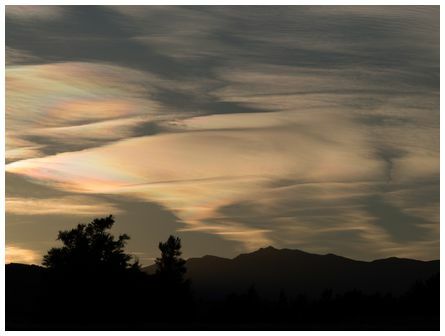 Hi Jacqui, this is known as cloud iridescence (JMcG). 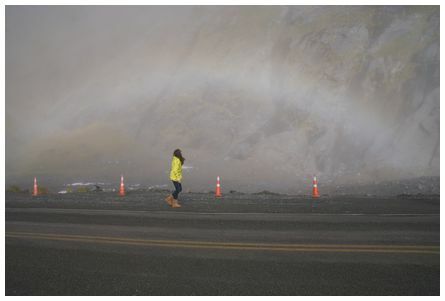 Hi James, a little fogbow I spotted on my way to Milford just before the Homer Tunnel. Taken at 13:00 on 13 May 2013. I learned about fogbows from your website and have since seen a couple in real life. Cheers, Alina.